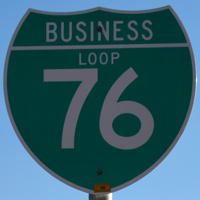 Interstate 76 has two business loops on its western (Colorado) section, and one connecting spur route in New Jersey (I-76C). The connector is not a business spur by definition and instead is an internal designation used by NJDOT. An unsigned, state-maintained Business Spur for I-76 begins at Exit 39 and follows Market Street north to County Road 18 and south to Old Highway 6 (I-76 Frontage Road) within the town of Keenesburg. Inventoried by CDOT as Route 076B, the spur totals just 0.472 miles. This is the longest continuously signed Interstate business loop in the system. It follows U.S. 34 from Interstate 76 (Exit 75) through Fort Morgan and Brush east to Spur U.S. 34. Business Loop I-76 turns north on Spur U.S. 34, returning to Interstate 76 at Exit 92. Turning northeast, Business Loop I-76 follows U.S. 6 from Exit 92 through Hillrose, Merino and Atwood into the Sterling city limits. 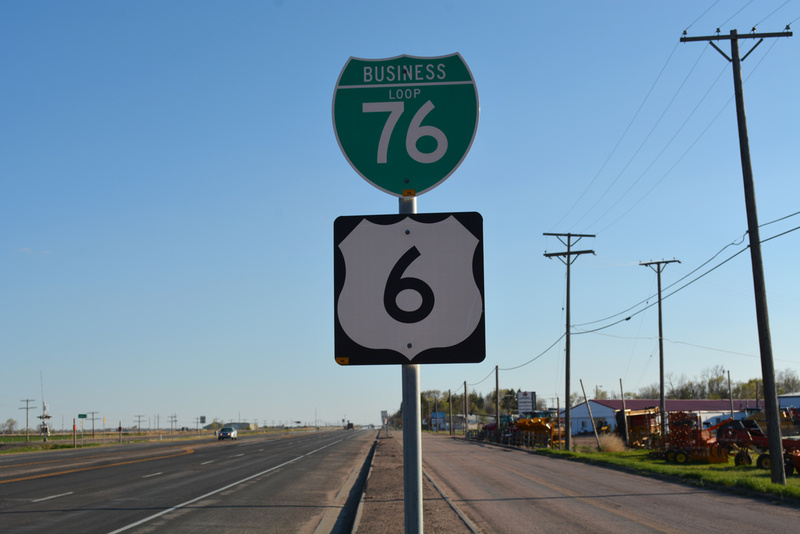 Once in Sterling, the business route is signed as U.S. 6 primarily and with trailblazers “To Interstate 76.” The business route rejoins Interstate 76 at Exit 125. Due to the fact that Business Loop I-76 overlaps portions of U.S. 34, Spur U.S. 34, and U.S. 6, the route is not inventoried in the CDOT Straight Line Diagram Tool. I-76 Connector constitutes a 1.22-mile2 freeway spur linking Interstates 76 & 676 at the Walt Whitman Bridge with U.S. 130 (Crescent Boulevard) and New Jersey 168 (Black Horse Pike) in Camden. There are no I-76C shields along this route, just signs directing travelers to Interstates 76-676, the Walt Whitman Bridge and Philadelphia. 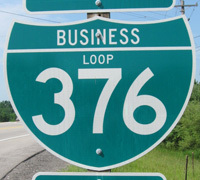 When the business loop for I-376 was designated, it joined Business Loop I-83 as the second such route posted in the Commonwealth of Pennsylvania. 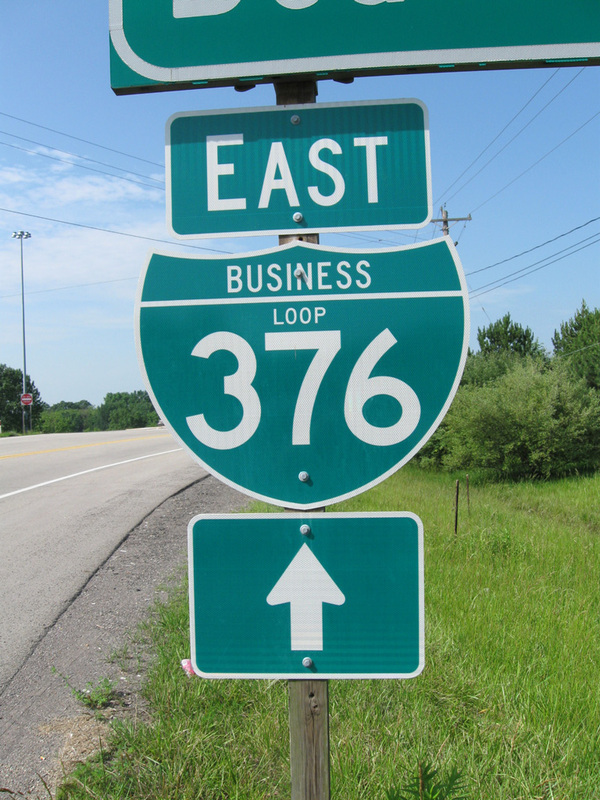 Business Loop I-376 is a 6.88-mile long expressway along Airport Parkway through Moon and Findlay Townships. The business route skirts the eastern edge of Pittsburgh International Airport (PIT) as it winds northwest from Exit 57 to Exits 50-51. The designation replaced Pennsylvania 60 Business on November 6, 2009, to coincide with the extension of Interstate 376 north to Beaver Falls. Signs for Interstate 376 along sections of former I-279 (Penn Lincoln Parkway West), U.S. 22 & 30, and Pennsylvania 60 started appearing as early as June 10, 2009. The final section of Interstate 376 to be signed was along the north-south PA Turnpike segment (James E. Ross Highway) by August 1, 2010. 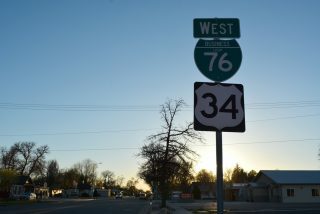 "Was the really long I-76 Colorado business loop retired?" online posting by corco, AARoads Forum, July 22, 2009. Page updated September 15, 2016. Heading into the Fort Morgan business district along Business Loop I-76 & U.S. 34 westbound. Photo taken 04/22/17.